who made it to the final championship game. We had 5 teams who claimed the championship title. Next Level. Go Hawk Hoops! to help her team in different ways. We are excited about her future. “Riley Hale” continues to show his consistency with his play on both ends of the court every tournament. He is a play maker that creates for himself and his (12u white)team mates, with a deadly 3 point shot that he knocks down from deep. This is his second player of the week honor and we are excited to see him grow even more as a leader. 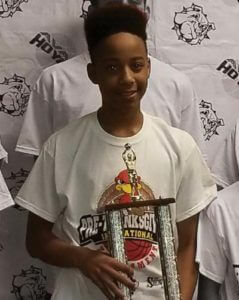 “Zachary Wright “a 8th grader, has established himself as one of our most experienced players in our program. He is a versatile player and a leader by example. His strong defensive presence and ability to create for himself and teammates helped his team advance against some solid teams in the tournament. 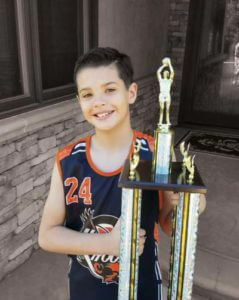 Congrats to Zach as this is his second MVP award. “Mike Smith” a 9 year old, earned his first player of the week honor and his first MVP trophy by simply doing what his team needed in their championship run. Whether it’s rebounding, shooting, playing defense or hustling for a loose ball Mike efforts speak for itself. He always plays with passion and it’s a pleasure to see him motivated and want to improve every practice and game. his minutes on the court. He has a great attitude and his teammates and coaches value his play tremendously. Looking forward to see him produce even more because he is capable. Taliyah McPherson is one of a few girls in a program that has already proven that she can have success playing against the boys. This 11 year old standing at 5’7 has been a pleasant surprise. Each game she improves. This is her second player of the week honor and with her strength and ability to dominant on offense and rebounding she has a bright future. Max Eng is known for his defensive hustle and ability to play defense. 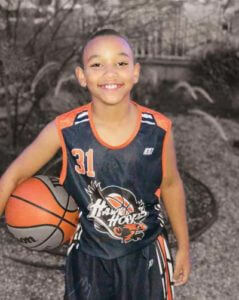 He earned this week player of the week for his effort and contribution to his team getting to the championship game. Whether it’s a steal or a deflection on defense Max shows his value by never giving up. His confidence is improving on offense and we are looking forward to help him improve even more. This is his first player of week honor as well as his first MVP award being apart of Hawk Hoops! 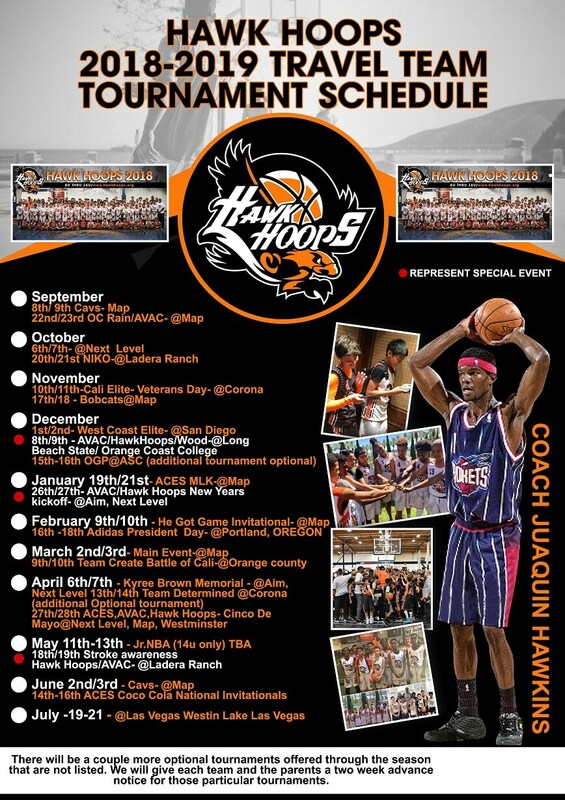 Tweet Pin ItTournament weekend of November 18th and 19th, our Hawk Hoops program had 7 out of 11 teams who made it to the final championship game. We had 5 teams who claimed the championship title. We are even more thrilled that our teams are being challenged by playing in different tournaments, playing against teams we normally don’t play against on a normal basis. Many of our Hawk Hoops players are improving in different areas and just as importantly each team continues to grow as one. 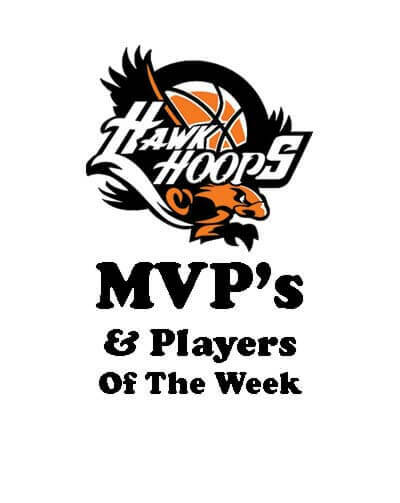 Check out this week players of the week and players who also received the MVP trophy for helping their team reach the championship game at the Pre- thanksgiving Invitational located at Next Level. Go Hawk Hoops! 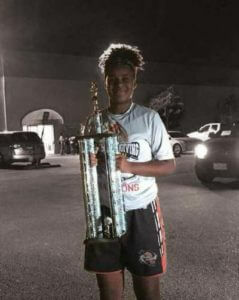 [caption id="attachment_7799" align="alignleft" width="239"] Heaven Williams[/caption] Heaven Williams (12u grey Team) “Heaven Williams” has become one of the top rebounders on her (12u grey) team lately. Her improvement in her play is a result of her dedication and commitment to the team. She utilizes her size and strength to help her team in different ways. We are excited about her future. [caption id="attachment_7803" align="alignright" width="239"] Riley Hale[/caption] Riley Hale (12u White Team) “Riley Hale” continues to show his consistency with his play on both ends of the court every tournament. He is a play maker that creates for himself and his (12u white)team mates, with a deadly 3 point shot that he knocks down from deep. This is his second player of the week honor and we are excited to see him grow even more as a leader. [caption id="attachment_7805" align="alignleft" width="239"] Zach Wright[/caption] Zachary Wright (14u White Team) “Zachary Wright “a 8th grader, has established himself as one of our most experienced players in our program. He is a versatile player and a leader by example. His strong defensive presence and ability to create for himself and teammates helped his team advance against some solid teams in the tournament. Congrats to Zach as this is his second MVP award. [caption id="attachment_7801" align="alignright" width="239"] Mike Smith[/caption] Mike Smith (9u Team) “Mike Smith” a 9 year old, earned his first player of the week honor and his first MVP trophy by simply doing what his team needed in their championship run. Whether it’s rebounding, shooting, playing defense or hustling for a loose ball Mike efforts speak for itself. He always plays with passion and it’s a pleasure to see him motivated and want to improve every practice and game. 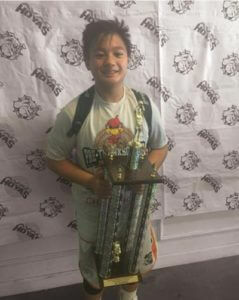 [caption id="attachment_7802" align="alignleft" width="239"] Nate Teves[/caption] Nate Teves(12u Black Team ) In recent tournaments Nate Teves has been exceptional helping his 12u black team with establishing a inside presence and rebounding. Known for his 3 point shooting he has evolved with his inside play producing with his minutes on the court. He has a great attitude and his teammates and coaches value his play tremendously. Looking forward to see him produce even more because he is capable. 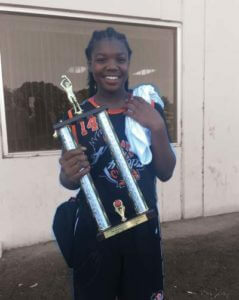 [caption id="attachment_7804" align="alignright" width="239"] Tailya McPherson[/caption] Tailya McPherson (11u Orange Team) Taliyah McPherson is one of a few girls in a program that has already proven that she can have success playing against the boys. This 11 year old standing at 5’7 has been a pleasant surprise. Each game she improves. This is her second player of the week honor and with her strength and ability to dominant on offense and rebounding she has a bright future. 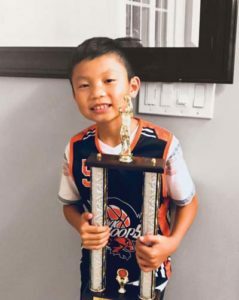 [caption id="attachment_7800" align="alignleft" width="239"] Max Eng[/caption] Max Eng (10u white Team ) Max Eng is known for his defensive hustle and ability to play defense. He earned this week player of the week for his effort and contribution to his team getting to the championship game. Whether it’s a steal or a deflection on defense Max shows his value by never giving up. His confidence is improving on offense and we are looking forward to help him improve even more. This is his first player of week honor as well as his first MVP award being apart of Hawk Hoops!